Stop Procrastinating And Make These Part of Your Dental Care Routine! We are all aware that brushing and flossing twice a day is part of a good oral health routine, however, many seniors have developed bad habits over the years. To maintain a healthy smile, your geriatric dentist wants you to stop doing these 5 things now! Stop procrastinating. 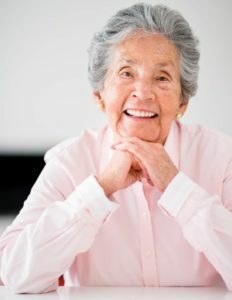 Many seniors postpone going to the dentist because of their inability to leave their home, or perhaps they’re embarrassed because of the condition of their teeth. Dr. Alisa Kauffman, the best geriatric dentist provides high quality dental care without judgement. Don’t brush immediately after eating or drinking. Did you know that brushing your teeth after eating can actually cause more harm than good? If you brush after eating or drinking something acidic, it can make the enamel on your teeth softer and more susceptible to decay. Try rinsing your mouth with water first, wait one hour and then brush. Don’t ignore dry mouth. Saliva has the important job of cleaning your teeth and fighting cavities. Saliva also has antibacterial properties, neutralizes acids and helps to restore and repair teeth. Many medications cause dry mouth, and your best bet is to drink more water or buy a saliva increasing rinse or toothpaste. Don’t forget to floss. Brushing alone will not remove plaque, flossing is an essential part of keeping your teeth healthy and strong. When you don’t floss, the sticky plaque bacteria will just sit there. If flossing is difficult for you, try using a floss holder to help you floss those hard to reach areas. Don’t depend on pain, or lack of it, to guide your dental care. Even when you brush and floss regularly, dental problems can still occur. Most oral problems don’t cause pain unless it’s serious, which is why preventive care is vital. Schedule an appointment with your geriatric dentist once every six months to stay healthy. Many older adults avoid getting proper dental care for a number of reasons including having limited mobility or multiple health problems. Dr. Alisa Kauffman, a top 25 dentist, is dedicated in providing the most vulnerable population with high quality and compassionate at home dental care. If you or your loved one is overdue for a dental visit, learn more about Dr. Kauffman, your geriatric dentist, or call to schedule an appointment today (917) 826-6278. 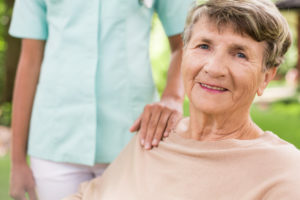 Are you the primary caregiver for an elderly loved one? As someone who has taken on such a huge responsibility, the experience can be intimidating. Obviously, you want to make sure they are receiving the proper care when it comes to their oral health. It can be a challenge when it comes to finding quality home dental care for seniors. In this day in age, you may be thinking that it is rare to hear of doctors or dentists making medical house calls. On the contrary, due the rapid growth of the 65 and older crowd, house call dentistry is on the rise. At the same time, it is also important to realize that not all house call dentists can deliver top quality home dental care for seniors. Just because someone earned the credentials doesn’t mean that they have the compassion that should be required for all geriatric dentists. Would you want to trust someone who is impersonal and doesn’t understand your situation and needs? You may also be questioning if dental care for seniors is really that important. The simple answer here is, YES! As we age, caring for our teeth still requires effort. We do our part to prevent damaging outcomes such as cavities or even loss of teeth. As people get older, it is important to keep up with a healthy dental regimen. Offer preventative and restorative services- Keeping teeth as healthy as possible. Teach others how to maintain their dentures to prevent sore spots in the mouth. Show caregivers how to properly help those who are unable to maintain oral health themselves. While there may be local geriatric dentists in the area, most require patients to make the trek into the office. As we know, moving from Point A to Point B isn’t always the easiest task for the elderly. It can also inflict more pain to already achy bones and joints. As part of the effort to reach out to the senior citizen community, Dr. Alisa Kauffman has been offering geriatric and bedridden patients home dental care for decades. Not only does Dr. Kauffman exude compassion towards her patients and dentistry, but she is also one of the Top 25 Dentists In The Country. If you are looking for that special compassionate geriatric dentist, Dr. Kauffman is your solution. You will always find she treats her patients with compassion and empathy; just check out these testimonials. Call (917) 826-6278 to schedule an appointment today!